Retention and graduation of underrepresented minorities and students with disabilities is critical to creating a strong pipeline of employees for both industry and academia. 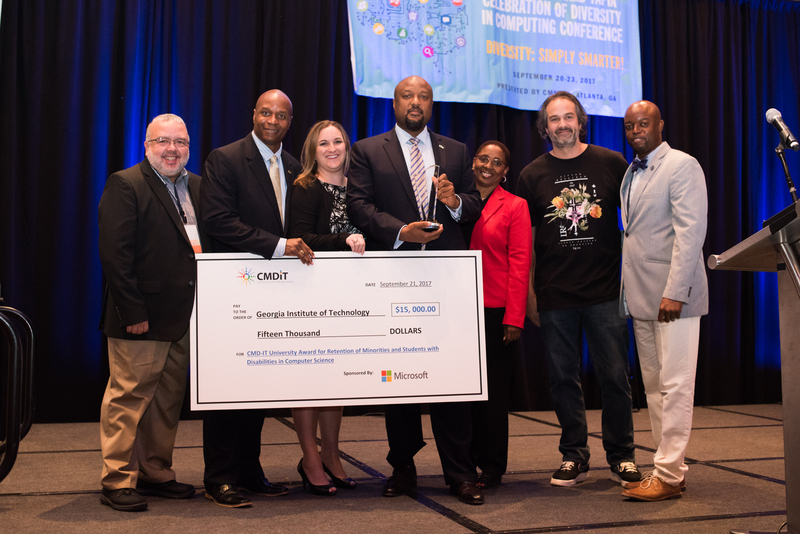 In early 2017, the Center for Minorities and People with Disabilities in IT (CMD-IT) announced the call for nominations for the first annual CMD-IT University Award for Retention of Minorities and Students with Disabilities in Computer Science. 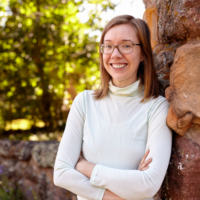 The University Award was created to recognize a U.S. academic institution that has demonstrated a commitment and shown results for the retention of students from underrepresented groups in undergraduate computer science programs over the last five years. The award focuses on these underrepresented groups: African Americans, Native Americans, Hispanics, and people with disabilities. Award decisions are based on quantitative and qualitative reporting of results.The qualitative reporting includes details about the institution, the unit that awards the undergraduate computer science degree, and descriptions of the retention programs the university has implemented that have had a positive impact on retention. The quantitative reporting includes a five year history of retention data. The first CMD-IT University Award was presented to Georgia Tech at the 2017 ACM Richard Tapia Celebration of Diversity in Computing on September 21, 2017. The University Award was sponsored by Microsoft and included a $15,000 award to be used to support retention programs. Threads Undergraduate Curriculum: Georgia Tech rethought its undergraduate curriculum and built a program that maximized the flexibility the students have in their curriculum. With Threads, students combine regular computer science instruction with classes related to particular areas of application. Students are given the opportunity to take control over their curriculum by choosing two of eight Threads to create their degree plan. This gives them more than 28 different degree plans to follow. The Threads include devices, info internetworks, intelligence, media, modeling and simulation, people, systems and architecture, and theory. This has resulted in students feeling they have more control and a better understanding of their degree plan. Georgia Computes and Project Rise Up: These two programs are spearheaded by Georgia Tech to help increase engagement in computing by broadening participation in computer science at all educational levels by underrepresented groups. Project Rise Up 4 CS, started by Georgia Tech professor Barbara Ericson, helps underrepresented students pass the Advanced Placement Computer Science A exam. This project offers extra help sessions, near-peer role models, exposure to a college campus, and a community of learners. Mandatory Introduction to Computer Science classes: All students enrolled in bachelor’s degree programs at Georgia Tech must take one of three computer science classes. The three programs enable students to take courses that fit their level of experience in computer science. Travel Scholarships to Conferences: Georgia Tech provides between 40 and 120 travel scholarships each year for undergraduate students to attend leading tech conferences with a diversity focus. These conferences include the Grace Hopper Celebration of Women in Computing and the ACM Richard Tapia Celebration of Diversity in Computing. By participating in these conferences, students build networks of support and attain a feeling of renewed commitment to their degree programs. Georgia Tech’s philosophy approaching the plan for accessibility and equity was that these concepts needed to be inside everything that the program did every day. All actions had to be intentional and operationalized and lived and breathed every day. It is critically important to actively create an environment where everyone feels they are part of the community. The extracurricular lives of the students need to be considered as well as their educational lives. There are currently more than 30 different organizations focused on key areas of interest such as security, robotics, and big data. In addition, all freshman attend the freshman seminar and are broken into cohorts of 30-40 members with an assigned mentor. During freshman orientation a six-hour boot camp introduces students and their parents to both Georgia Tech and the resources open to them. Georgia Tech has created an Office of Outreach, Enrollment and Community (OEC). Its mission is to establish and steward a pipeline of qualified computing students who attend and graduate from Georgia Tech with the best possible career options. This office covers from cradle to career with programs focused on every level of education. Georgia Tech also continues to engage alums after they graduate to provide further support and give them the opportunity to give back to current students. The OEC also coordinates Georgia Tech summer camps. 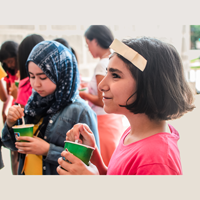 In 2017, nearly 500 elementary, middle school, and high school students are registered in the college’s summer camp program. The week-long day camps included web design, robotics, Minecraft, computer game design, mobile applications, stop-motion movies, and creating music through code. One of the critical aspects of these programs was the ability to make them profitable and sustainable so that they continue forward with their own momentum. Also critical to the success of Georgia Tech has been the professionalization of all these efforts. Creating a dedicated staff focused on retention and graduation results in success that is not dependent on a single individual running a stand-alone program. 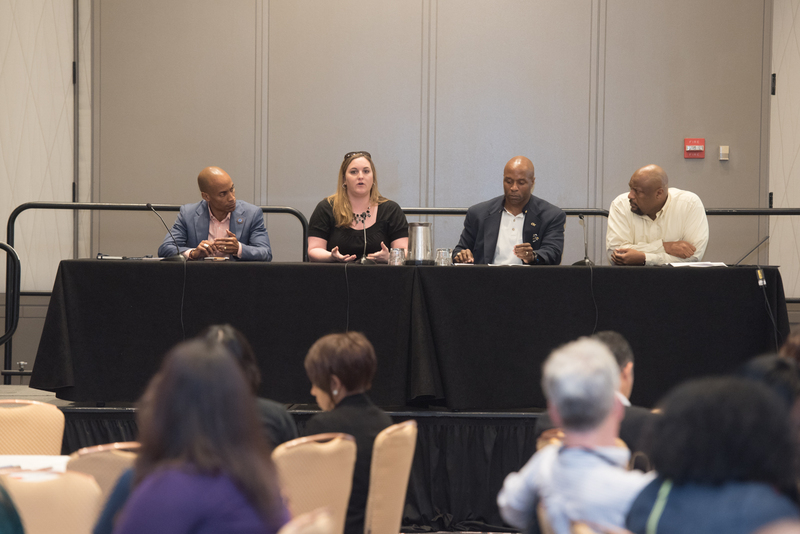 Engage in national committees and task forces on this topic: Universities successfully increase their representation of minorities and people with disabilities by actively seeking out and sharing best practices from experts. Corporate and peer mentoring programs: Such programs provide support and guidance to students throughout their academic careers as well as providing them with role models. Curriculum development: Some universities focus on creating curriculum that supports the academic, social, and developmental needs of the students as well as allowing for customization to increase student engagement. Communication: Universities use a variety of tools such as regular meetings, surveys, and events to further engage with students. Organizations: Universities are encouraging the establishment of chapters of national student support societies such as the National Society of Black Engineers, Society of Hispanic Professional Engineers, and the Society of Women Engineers to provide students with additional support from their peers. Outreach to K-12: Universities are investing in creating and implementing outreach programs to local and statewide K-12 computer science programs. These programs help feed the pipeline of future CS students and the programs also create committed students. Submissions for the 2018 CMD-IT University Award will open in November 2017. Universities are encouraged to submit their data. Each participating university will receive a detailed report that summarizes the data across all participating institutions. All data submitted will be strictly confidential. To learn more, visit http://www.cmd-it.org/programs/current/university-award/. Jerri Barrett is the director of social media for the Center for Minorities and People with Disabilities in IT (www.CMD-IT.org). Expanding the Pipeline: Toward Gender Parity in CS @ ILLINOIS Low Diversity in Tech: How Did It Happen and How Do We Fix It?